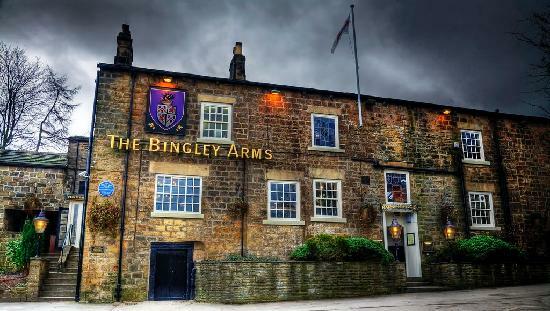 Finally, we arrive at the Bingley Arms, which claims to have been offering weary travellers and clergymen alike a refreshing pint since 953AD. At 1,061 years old the pub said to have been mentioned in the Domesday Book. Previously known as The Priest’s Inn, the premises served as a rest house for monks travelling between abbeys in Leeds and York. Later it would become a haven with holes found in the pub’s chimneys said to have concealed Catholic priests on the run from Henry VIII’s Dissolution of the Monasteries campaign.